the process in which a practitioner uses aspects of music to improve the health of their patient, working on a vibrational level within the body, releasing areas that are blocked or restricted. I often use Sound Healing within the wider context of a CranioSacral session, but am also happy to offer pure Sound Healing sessions. Incorporating Sound Therapy into my healing repertoire came about through my own healing journey. Finding that some of the deepest and most effective healing sessions I have received have involved sound, either singing, or using a gong. Sound and music affects our beings on a vibrational level. The sound from my Earth Gong is deep, rhythmic and multi-layered, creating vibrations that enable the deep release of restrictions, within the body. Some clients report altered states of consciousness, seeing colours or visions. Healing with Sound dates back as far as ancient Greece… Apollo was the god of both music and medicine. Aesculapius was believed to cure mental disorders with songs. The philosophers Plato and Aristotle both claimed that music affected the soul and the emotions. Hippocrates played music for his patients, too. In Ancient Egypt, Sound Therapy was a staple in temples. Today it is used in many aspects of medicine and spiritual growth. While it is still considered an alternative to modern medicine, scores of evidence suggest that it is effective to our emotional and psychological health. From the Planet Series: a group of gongs attuned to the vibrations of the planets in our Solar System. I use the 38" Earth Gong in my sessions. The 38" Earth Gong: speaks to the Heart and Throat Chakras and is related to the colours Blue and Green. Virtues: Relaxation, balance, renewal, alignment. Balances: Tension, connection with Nature, loneliness. 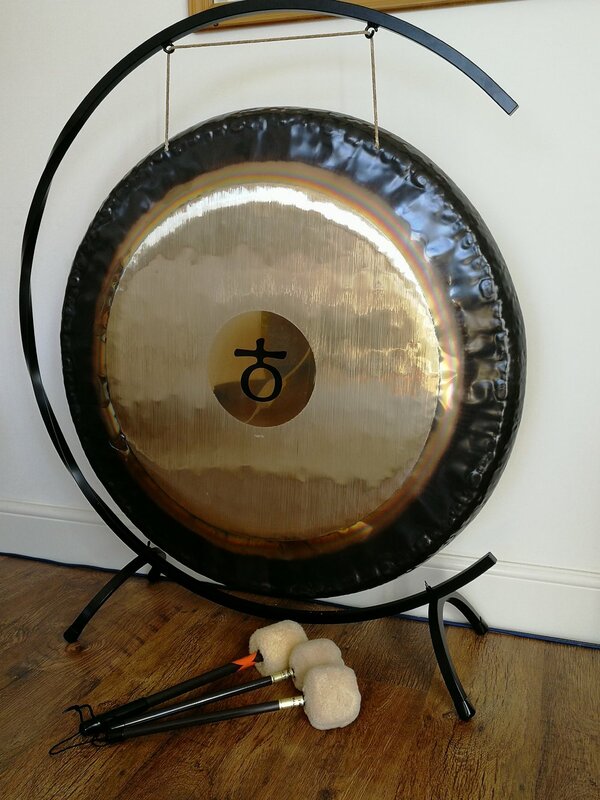 My experience playing this Gong: Strong Grounded vibration, powerful connection to the Earth - 'Song of the Earth'. Connection to the 4 Elements: Earth, Wind, Fire and Water. Awakening a primal feeling of connection that more Primitive People knew. Songs of the Ocean and Whale-Song. Every new client has a full client consultation, followed by a Sound Healing session - either within a CranioSacral session or on it's own. This is usually performed whilst lying on my treatment couch fully clothed. Using a deeper sense of 'tuning in' or 'intuitive seeing' to work with the body, mind and soul, I work sensitively with Sound to create the right level of pitch and vibration for your system. Sound Healing Therapy is not intended as primary healthcare but to work alongside the relationship you have with your doctor. "There is consideration and careful thought given to the whole experience, ensuring that the visit is both relaxing and beneficial to the client. I would certainly recommend Anna." "A wonderful setting in which to de-stress, relax and rejuvenate in this increasingly stressful world. The peace and harmony of the treatment room and the caring hands of the therapist, make it an experience I want to repeat and repeat." 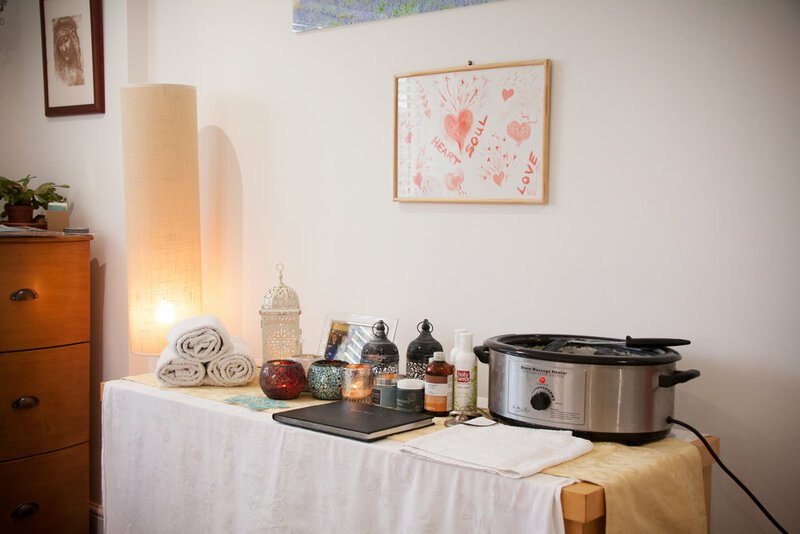 "I have now had a number of treatments with Anna, at her gorgeous and peaceful location...Anna cares greatly about providing a good experience for the client and I would greatly recommend you visit her!"